There's a tutorial for how to create Melon accounts and vote for Show Champion in the Playgirlz Syllabus but the how to vote part it's unnecessarily complicated so I've produced this tutorial to simplify the voting process. All times shown is in KST. 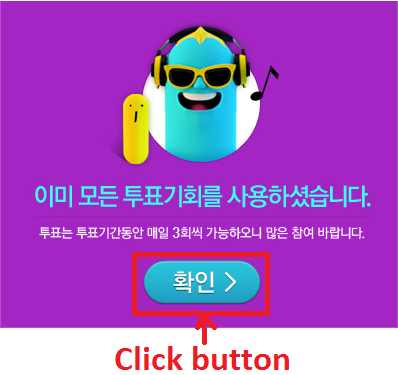 Step 1) Go to http://www.melon.com/ to login. Step 2) Enter login details. 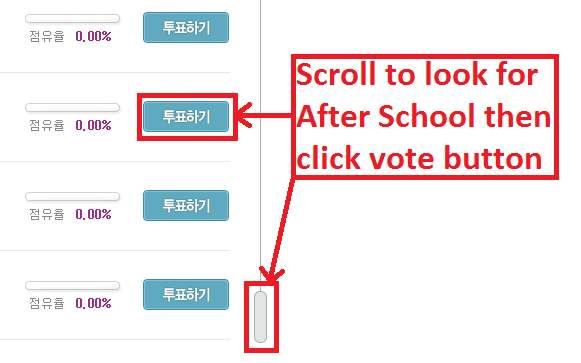 and leave it open after logging out of the account(when you've finished voting) as it can be used again for voting with subsequence accounts, otherwise just go to the link to visit the voting page. Voting starts from Tuesday somewhere between 9:00am to 12:00pm (having trouble finding out exact time right now because voting on Melon isn't going to happen until after June 24, keep an eye on this thread for more updates) to Sunday 11:59pm. A voting day ends at 11:59pm. You can vote 3 times a day with one account. 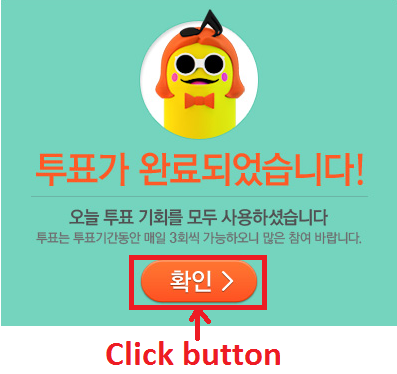 After each time you vote Melon will display a message to let you know how much votes the account has left. This is no limit to the amount of accounts you can use for voting in a day. Message to let you know you have 2 more votes left. Message to let you know you have 1 more votes left. Message to let you know you have use up all 3 votes. If you try to vote again after voting 3 times with one account in a day you get this message.